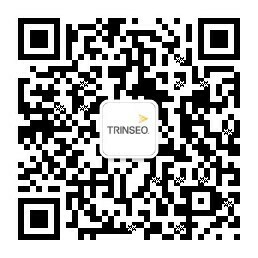 Trinseo (NYSE: TSE), the global materials company and manufacturer of plastics, latex binders and synthetic rubber, will be attending the Tire Technology Expo, Europe's leading international Tire Design and Tire Manufacturing Exhibition and Conference, for the second time. Exhibition visitors will receive an update on Trinseo’s wide range of standard and advanced synthetic rubber solutions, and will also have the opportunity to hear two of Trinseo’s key R&D Leaders present recent findings in the development of functionalized synthetic rubber and high-cis polybutadiene rubber as part of the official conference program. “Rolling resistance, wet and dry grip, improved abrasion resistance, and good handling are among the key properties consumers are looking for in a good tire. Through non-stop research and development efforts Trinseo continuously enhances its next generation synthetic rubber portfolio. This helps our customers meet and exceed expectations,” says Sandra Hofmann, Global R&D Director, Synthetic Rubber at Trinseo. “As a global leader in synthetic rubber, Trinseo’s R&D experts are among the top in their field. They are the driving force behind these portfolio enhancements and for us, TireTech is an excellent opportunity to let them share their expertise,” continues Sandra Hofmann. This year, Dr. Sven Thiele and Dr. Malte Wohlfahrt will both take to the stage to comment on their respective areas of expertise. Find Dr. Sven Thiele’s full presentation on Tuesday, February 14, at 14:50. Neodymium BR (Nd-BR) is a high-performance technology, complementary to S-SBR, that Trinseo is developing to address current market needs. Dr. Malte Wohlfahrt, leader ESBR/BR synthetic rubber R&D, is spearheading Trinseo’s research on the potential implementation of Nd-BR rubber grades. “CO2 emissions and fuel efficiency are two sides of the same coin, and demand for materials supporting fuel efficiency is growing. We believe that Nd-BR has an important role to play in this,” explains Dr. Wohlfahrt. Catch Dr. Malte Wohlfahrt’s full presentation on Wednesday, February 15, at 14:25. Access the complete conference program at http://tiretechnology-expo.com/conf_overview.php.